Some people carry the character of a country running through their veins to such an extension that meeting them make us feel so much like being at home. Omar Allibhoy is one of those people. His limitless energy, his passion, his ever-smiling warmth and his contagious enthusiasm encapsulate the very best of the Spanish charm. Meeting Omar is a pleasure only equivalent to indulging in some of his delicious Spanish tapas. When Omar Allibhoy first landed in the UK, his early intention was to polish the rustiness of his English language. But like so many other Spaniards living in Britain, he soon started missing the true flavours from his beloved Madrid. He could have chosen to do nothing about it. But that would have been so out of character for Omar. So he initiated a crusade to put tapas on the British map. And in true style, he did that literally. Omar drew a letter T – from tapas, of course! – onto a map of the UK. Then he embarked himself together with a friend in an adventure that took them both to travel by motorbike through that letter T and all around the country, teaching the British people who they would encounter along to cook Spanish tapas with whatever they had in their home fridges. 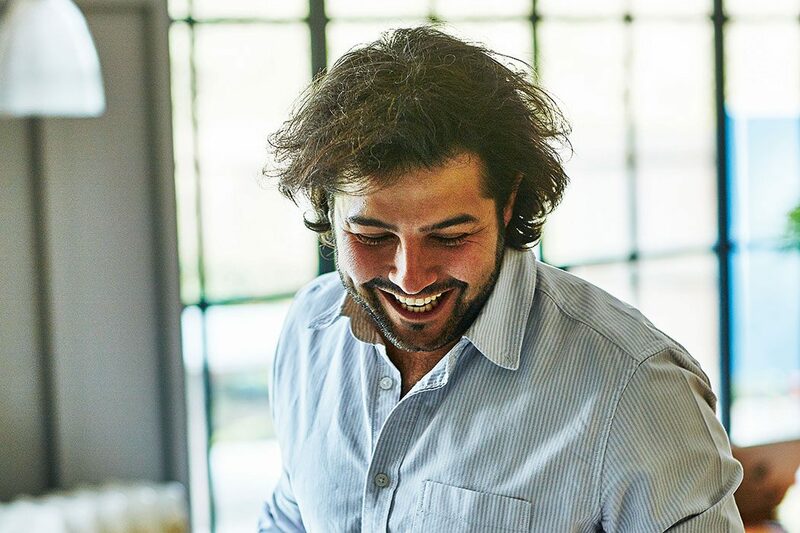 Over a decade later, Omar Allibhoy continues extending his tapas adventure and setting himself up for new goals and challenges. 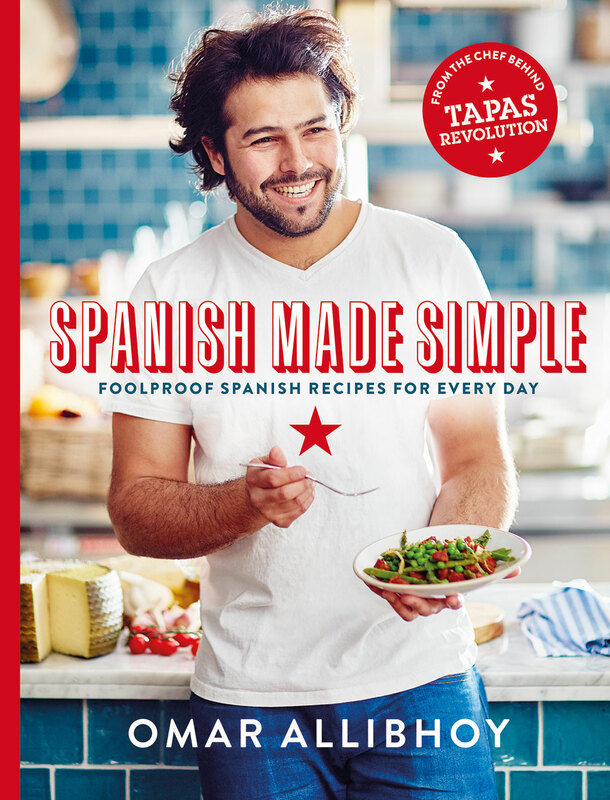 Today, we talk with him about his adventure, his Spanish tapas and his brand new book ‘Spanish Made Simple: Foolproof Spanish Recipes For Every Day ‘. Omar, Do you remember the exact time when you decided to become a chef? I’ve always been in the kitchen; one of my earliest memories is from when I was four years old and I was watching my Mum cook crème caramel, I can still remember the aromas coming out of the oven. I guess you can say I have always been a chef; I’ve never wanted to do anything else. After your crazy T-shaped trip across the UK one could say you know more about the inside of British fridges than most Spaniards. What did you learn during that trip that is today reflected on your menus? I learnt quite a lot actually! Most of the people I met love Spain and have a special place for it in their hearts, thanks to good holidays. However they were unsure of how to cook the Spanish dishes at home, and some even a little scared. Once I showed them (I went into their houses and took over pub kitchens) they found it simple, most ingredients are easy to buy in your local supermarket. 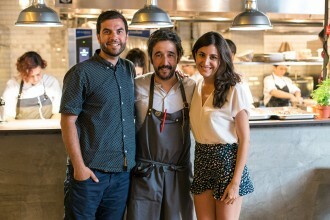 Nowadays London seems the perfect place to open a Spanish tapas bar. But the truth is that this was not the case when you open your very first restaurant. How was your experience? Yes, the Spanish food scene in the UK has grown a lot. There are lots of good Spanish restaurants now and people know the difference between olive oil and extra virgin olive oil; they understand our sharing culture and there are lots of restaurants with small plates and our sharing style of eating. It was very different when I first opened Tapas Revolution Westfield, it was a new concept and unique in the way it’s laid out – it’s just a bar with no tables so you have to dine at the bar. Of course when you’re doing something new and untested you always wonder how it will be received. It came with great pleasure that the people of London are so adventurous and took it so well. Tell us in one line what is the food proposition of Tapas Revolution. 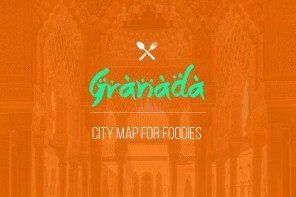 Good quality, authentic tapas in a casual, busy and buzzy atmosphere – just like the tapas bars in Madrid. In Tapas Revolution, customers can find a set menu ‘Spanish-style’ which includes two courses and a dessert. How did your British clients react to such an unusual set menu structure in London? This is only something we do at lunch and it’s very popular and they actually really like it. It works well because we serve it very quickly so people can be in and out in no time, something that makes all the difference if you’re on a lunch break. How do you choose the producers of the ingredients you use at your restaurants? I’m probably quite a peculiar customer as we only use products that are made in Spain – from the glassware to the soap, even the waiters’ cloths and pens. 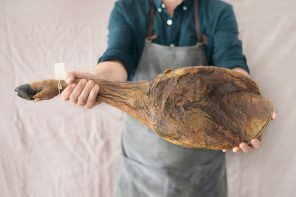 I deal directly with artisans and producers back in Spain; the distributor only brings the ingredients from the passionate producer I’m behind. To put it another way, we don’t buy from catalogues – Pedro makes the chorizo for us in his old ahumadero (smokehouse) in Asturias, Aurelio who makes the most delicious Manchego from his skinny sheeps. I personally know all the artisans and visit them regularly. I believe the product you use, when you want to keep things simple, makes all of the difference. What are we going to find in your recent book ‘Spanish Made Simple’? Is Spanish cooking so complicated that it needs to be simplified? (my first book) has been the biggest selling Spanish cookery book in the UK for the last 3 years is because of the approach and how recipes are explained – they quickly make you feel at ease and don’t intimidate even the most amateur of home cooks. This book has the same approach, non-complicated, simple recipes. There are lots of home-cooked meals, the food I grew up with in Madrid and cook everyday, it’s family style eating, quite a lot of recipes are larger dishes, but of course I also included a few tapas. 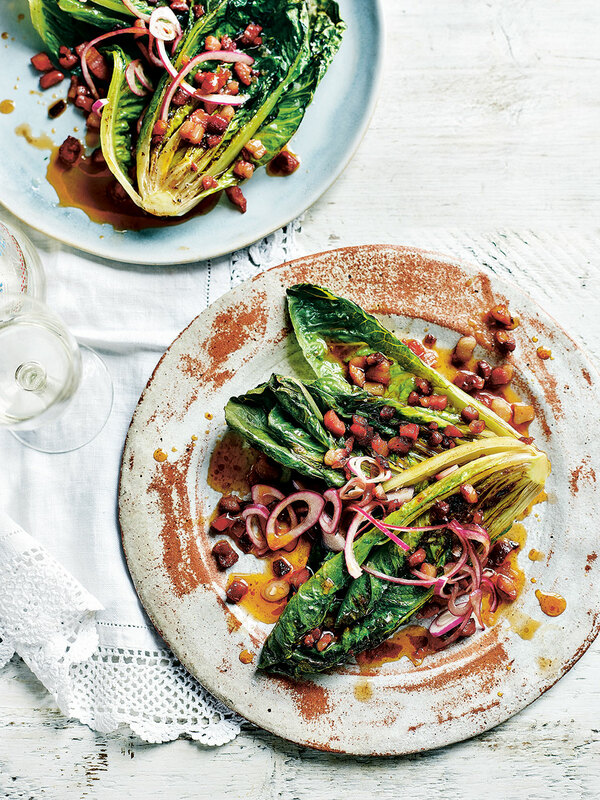 You say that it’s a compilation of your favourite recipes to cook at home but… what would you cook for us tonight if you had to? You have worked in prestigious restaurants such as elBulli or Maze by Gordon Ramsay, you founded the Tapas Revolution Group which successfully manages five restaurants in the UK, you have star-appeared on Masterchef UK, and your first book ‘Tapas Revolution’ was the best-seller cooking book in 2013. And in 2014 you won the ‘Entrepreneur of the Year’ award. With such a CV… what is left to do? And the Churreria in Sheffield don’t forget! I am very proud of it, a dream come true as it’s something I wanted to do since I was a young lad and it’s going really well after only 6 months which is encouraging – customers are loving the churros! I’m working on our biggest opening yet in Eldon Square, Newcastle which will launch in February 2017. It’s double the size of our other tapas bars so will bring bigger challenges, but I’m excited. Spreading the message about good, quality tapas, it’s an ongoing project. And finally… You are a proud Madrilian. What is it that we can’t miss during our next visit to Madrid? 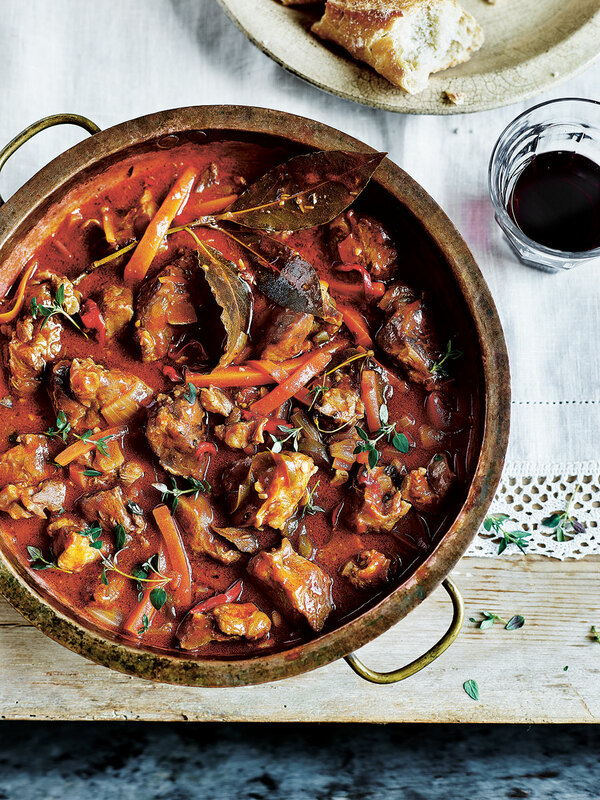 You can’t miss “Callos a la Madrileña” – Beef tripe stew, it may not sound appealing but it’s a very traditional dish in Madrid. Otherwise, don’t leave without trying a good Bocadillo de Calamares (deep fried squid ciabatta) or Patatas Bravas which is a recipe in my new book. 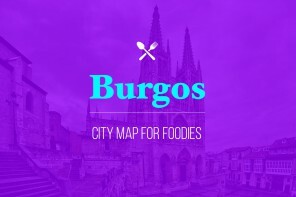 As for eating out in Madrid, I have lots of favourite restaurants and cafes, a few you have to try are: Casa Lucio, Era, Cachivache, Sala de Despiece, Taberna La Daniela and Combarro. 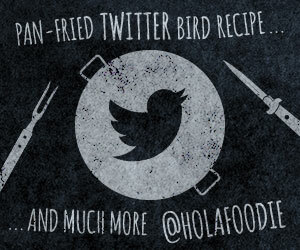 Order Spanish Made Simple: Foolproof Spanish Recipes For Every Day now! 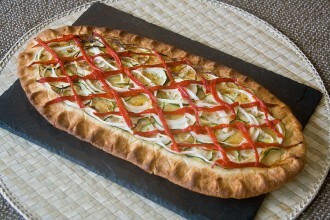 Coca is to Catalans what pizza to Italians. A fun, simple and delicious comfort food that everyone will love. And here’s the good news: it’s dead simple to make it. Shall we?